OK, if you’ve been paying attention I doubt you’re surprised by that insight, but the real story from this new report isn’t in the broad trends but in the specific numbers. 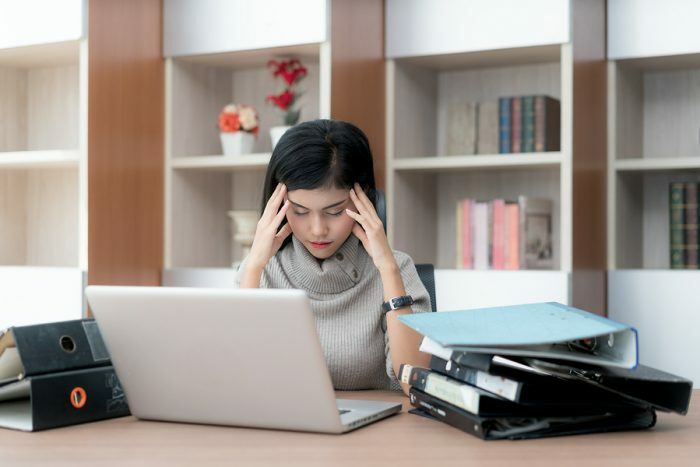 Some 62 percent of recruiters “say their job is more difficult today than it was a year ago,” and 67 percent say it is more difficult than it was five years ago. Additionally, 59 percent of respondents say it is more difficult to get quality candidates than it was in 2017, and 62 percent say it’s more difficult than it was five years ago. Yes, it’s not surprising that it’s getting more difficult for recruiters, but the big news here is how widespread that feeling is. When nearly two-thirds of recruiters say their job is a lot tougher than it was last year, well, that tells you that the entire talent acquisition process has gotten a lot more difficult in a very short time. And just how difficult has it gotten? The Monster survey also found that nearly six out of 10 recruiters (59 percent) say that a big part of their problems is the overall shortage of skilled labor that’s reflected in the fact that the number of job openings available are currently at a 17-year high. No wonder time to fill rates have jumped on average from 36 days in 2017 to 42 days this year, according to HireVue. Monster’s insight and advice: Two-thirds (67 percent) of recruiters “said they felt that they needed to understand marketing to be successful — yet only 36 percent of recruiters surveyed were employing employer-branding strategies. Monster’s insight and advice: Some 64 percent of recruiters “told us they felt they needed to be digital experts to succeed today. And while 70 percent of recruiters say their organization is keeping up digitally, 64 percent believe they don’t have the right digital tools to make the job easier. Another 51 percent say that technology makes it harder to connect with humans. The problem may be owed to tech overload and disconnected systems. Rather than buying tech for tech’s sake, start with the problem, and apply the right technology against the right challenge. Look at the candidate profile you need and match it to solutions that can specifically reach that audience. Monster’s insight and advice: “Recruiters told us that they’re anxious about using their time efficiently (50 percent), and 67 percent feel that they need to be analytics experts. With KPIs that include reduction of time to fill and sourcing costs, the pressure is on. Here’s my take: The recruiting and talent acquisition game is constantly changing, and with data and analytics becoming an ever larger part of the equation, it’s tough for anyone to keep up with latest and greatest “best practices” that seem to be coming faster and more frequently every year. But Bob Melk at Monster had a quote in the press release about the 2018 State of Recruiting Survey that is both good advice as well as a wake-up call for recruiters who may be struggling to keep up as the demand for good candidates grows ever more urgent. Those might sound like a lot of buzzwords to some, but I think Mr. Melk is on to something here. Although there’s something to be said for traditional talent acquisition methods, a stronger focus on data, analytics, and marketing (and there is great data at what strategies recruiters are using, and what is working, that you can find in the survey) is going to be more and more urgent — and critical — with each passing month. Those who will succeed in the new TA environment are those who figure out how to get out in front of these new best practices now — before it’s too late. Monster’s 2018 State of Recruiting Survey is the result of an online survey of more than 400 recruiters conducted by Monster, a leading solution for connecting people and jobs. It connected with Research/Now to survey over 440 in-house recruiters, recruiters at staffing firms, and recruiters who specifically target healthcare, between June 4-11, 2018. It has a margin of error of +/-2.9 percent at a 95 percent confidence level.